This show the current temperature at your current location. Please Make sure to have location services turned on so we are able to get the current location. This shows the status of the built in Timer. If the timer is active this will show the remaining time. You can follow the sun's progress on the sky with the sun (during daytime) or moon (nightime) indicator. See the images below for an explanation. This will enable you to activate external data sources (complications) and show within the dial. Please select the external data source from the watch. 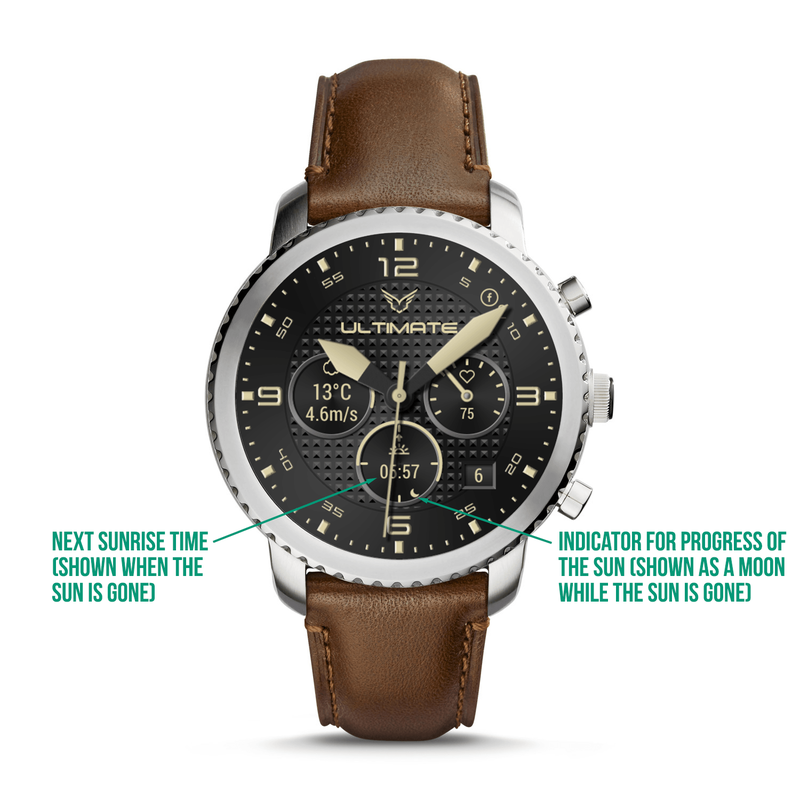 This will enable you to activate you own custom dial complication showing data from your own source. Please see this link to learn how to do this.